In Your Country, Girls My Age Are This High. Faced with reports that Jimmy Carter was en route in his country, Kim Jong-il took an eminently understandable decision: and decamped to China. 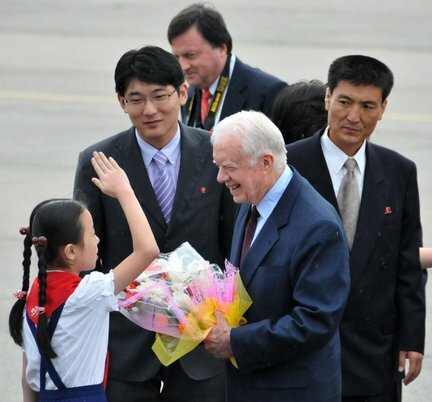 Carter had been in Pyongyang in an attempt to secure the release of an imprisoned American citizen, Aijalon Gomes. This, marking a break with tradition for Carter, has succeeded. Gomes, originally from Massachusetts, is a member of the Every Nation Church in Korea. On 25 January 2010, he had crossed into North Korea from China on a self-professed peace mission to intercede directly with Kim Jong-il on behalf of the poor wretches of the country. 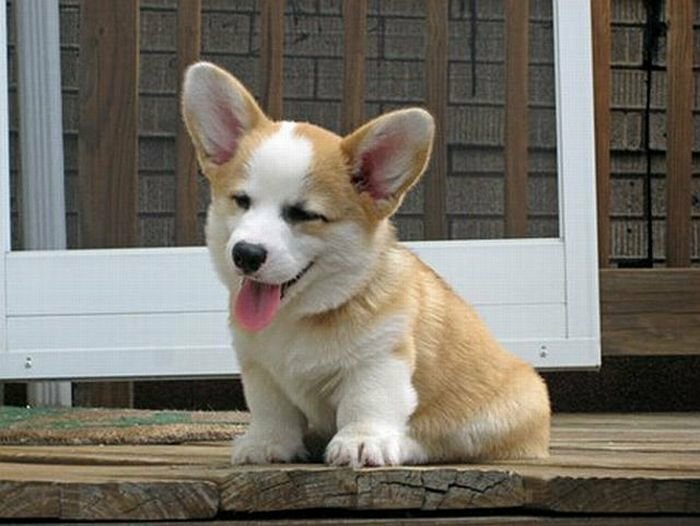 In April, he was sentenced to eight years hard labour. This followed similar actions by Robert Park, a Korean Christian missionary who on Christmas Day 2009. Park was held captive for almost six weeks, during which time he was subjected to various forms of torture. Having been activated as a sleeper agent, Julia Gillard has succeeded in what every Seionyst wishes in their dark hearts: to make their respective political systems unmanageable. Which wise elders are these, Julia? Or should I say Gwadlys? Llongyfarchiadau, ewe mwst bw hvwwrhy prywd. Get it while it is still liquid! Yang wept and argued, but, alone with her 4-month-old daughter, she was in no position to resist the man every parent in Tianxi feared. “I’m going to sell the baby for foreign adoption. I can get a lot of money for her,” he told the sobbing mother as he drove her with the baby to an orphanage in Zhenyuan, a nearby city in the southern province of Guizhou. In return, he promised that the family wouldn’t have to pay fines for violating one-child policy. 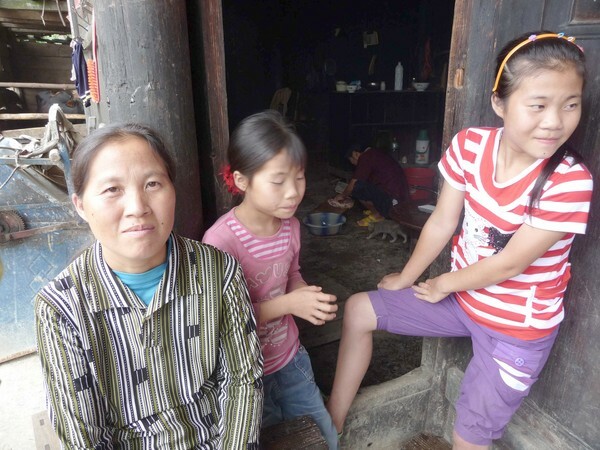 I have woken-up recently with thoughts of my 11 month old nephew being tossed on a fire, so I can comprehend the sense of sheer horror felt by Yang Shuiying (pictured above with two remaining daughters) and described by Barbara Demick, a journalist with an especial interest in China and Korea. Yeah, that is because you had no authority to do so. Hefty fines, as large as three years the annual salary of both parents, are imposed, but with humans having a natural inclination towards their children, Chinese couples are prepared to pay (although, those more ostentatious about it are likely to be wealthy). But, that is not right, surely? As Demick wrote, convention wisdom was that callous Asiatic-types were routinely dumping units which result in a net loss (“baby girls” to you and me). The lucky ones were placed in orphanages where kind Westerners would be able to adopt them; the unlucky ones tossed into slop-buckets. Whilst both undoubtedly occur (the second was reported by Xue Xinran in an Economist article on gendercide, reproduced here), Yang Shuiying’s account of a dark moment of soul-eroding terror adds a new facet. USS John S. Mccain in Da Nang harbour, Vietnam. Copyright Mass Communication Specialist 2nd Class Jessica Bidwell (US Navy). Let us hope it is not a repeat of King Carlos’ intemperate remarks. In events guaranteed to cause moments of extreme cognitive dissonance for anti-war activists up and down the country, this month alone has seen two American warships docking at Da Nang port in Vietnam – site of the largest American airbase during the War, and that of the final ground combat operation on 13 August 1972 – with the full welcome of the local authorities as part of commemorations of the 15th anniversary of normalization of relations between the two countries. On 8 August, the Nimitz-class nuclear powered aircraft carrier, the USS George Washington arrived with as many crew as the population of Thurso. 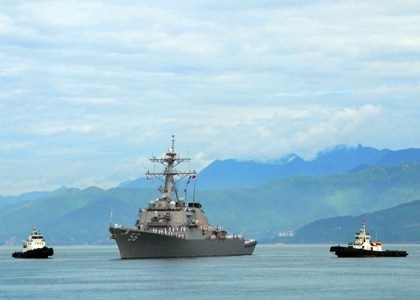 Two days later, the USS John S. McCain docked at Da Nang port. Doubly significant was that it is named after the grandfather and father of noted American captive during the War. There is no doubt that American interest is related to subduing Chinese foreign influence, especially as the George Washington previously had been holding joint exercises in the Sea of Japan with the South Korean Navy and may soon enter the Yellow Sea. 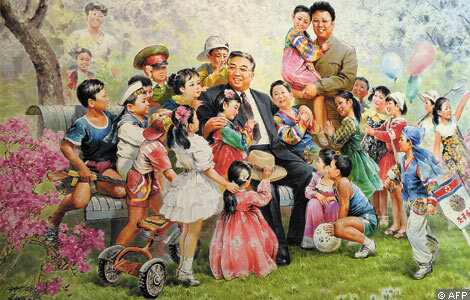 Although, like the returning Hide and Seek champion from 1906, Fidel Castro has returned to the public eye, Kim Jong-il shuffles ever-closer to the status of immortal god along with his father. The Telegraph reports that, earlier this month French doctors examined Kim Jong-il for complications following a stroke in 2008. His presumed successor is to be his youngest son, Kim Jong-eun with whom he has been seen attending factory inspections and other photo-shoots with increasing frequency. Since returning from studying a throat-condition of a language at university, Kim Jong-eun has shown himself a more earnest son than his older brother, Kim Jong-nam who wanted only to visit Disneyland. Most sons buy their fathers after-shave to win their affection: Kim Jong-eun appears to have engineered an assassination attempt against Kim Jong-nam. Most fathers kick a football at their sons to test their mettle: Kim Jong-il appears to have orchestrated the sinking of a RoK warship to allow Kim Jong-eun to manage a crisis, just as he exiled his own father’s favourite son, Kim Pyong-il to win daddy’s love. 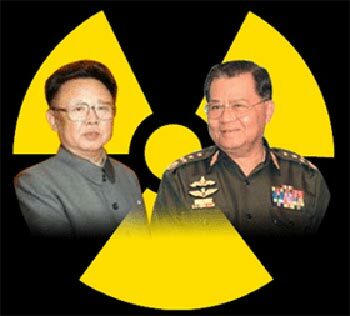 Kim Jong-eun is altering the Book of Common Prayer to place his living father on equal standing with his ever-living grandfather in advance of the first Party conference in 30 years (in 1980, Kim Jong-il effectively was confirmed as successor for Kim Song-il). For his part, Kim Jong-il has appointed Chang Sung-taek as Grand Vizier Vice-Chairman of the National Defence Commission to guide his son. Chang had previously faced down stiff opposition from Kim Jong-il and Kim Song-il to marry their sister/daughter, Kim Hyong-hui. His new appointment doubtless came as a pleasant surprise as it had been ear-marked for Ri Je-gang, who accidentially, tragically died in a car accident. It must be getting dangerous to look over a baby’s cot in the Kim household. You are currently browsing the A Rabbit's Eye View of the Hyperborean North blog archives for August, 2010.